Why Won’t He Do What You Want Him to Do?! 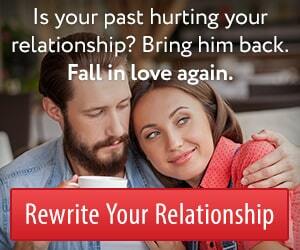 What’s the most painful thing you’ve felt because of a romantic relationship? When he didn’t feel the same way about you? When he didn’t do what you asked him to do? When he couldn’t love you the way you really wanted him to? Much of the pain in relationship is caused by expectations. Grown-ups aren’t like children. We can’t tell them what to do (though we try). Nevertheless, you need to be on the same page when you’re in a relationship with someone. It doesn’t work if he goes his way and you go yours. Different expectations are stressful for both of you. 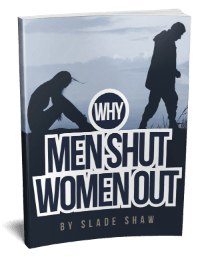 Men often complain that the women in their lives are always trying to change them. They don’t feel loved and accepted for who they are, warts and all. New York Times bestselling author Michael Singer decided to try something unusual. He decided to give up. He’d stop trying to make life go his way. He’d accept whatever happened. He’d say yes to whatever came up, even if he didn’t like it. My first thought was: That sounds kind of crazy! Surely it’s our RIGHT to live life exactly the way we want. In fact, most of us would like nothing better than to have everything go our way. To have other people do what we want them to do. To have our world in perfect order. But wanting things to be different from how they are causes us an enormous amount of stress. Our control over things is actually quite limited. We can’t control other people. We can’t control world events. We can’t control the weather or politicians or the price of milk at the grocery store. The only place we have complete control is inside our own minds. And, funnily enough, it’s the one place we don’t seem to exercise much control. Our minds tend to be a maze of conflicting thoughts, emotions, and opinions about everything. It’s not a peaceful place. Even if something DOES go our way, we immediately turn our attention to all the things that AREN’T going our way. We’re never satisfied. How would life feel different—how would our relationships be different—if we, like Singer, simply surrendered? How would life feel different if you accepted everything that happened to you, rather than resisting it? If you recognized that you were powerless over anyone else’s behavior but your own? If you believed something was guiding you and steering you in the right direction, even if you couldn’t see it at the time? Well, you could stop trying to micromanage everything. You could go with the flow rather than fighting the current. You could trust that everything would eventually turn out okay. It’s a completely different way to live. Here’s why I think it’s such a game-changer in relationships. It enables you to love unconditionally. Instead of loving someone based on his willingness to play the role you’ve assigned to him, you can accept him exactly as he is. You accept he won’t do what you want him to do half the time. Even most of the time. And you won’t suffer as much. Because you have control where it matters: over your OWN thoughts and behavior. You’ll also deal with crises better. When something horrible happens, you’ll still have an immediate emotional reaction. But it will flow through you rather than creating a swirling emotional pattern of resistance. Then your newfound perspective will kick in. Whatever happened, happened. You can’t undo it. So you may as well focus your mental energy on figuring out what to do next. We’re quick to slap the label of “good” or “bad” on things. But often the worst events are the catalyst for extraordinary transformation. I believe people experience more joy and less suffering when they try hard to go after goals, but without feeling the need to control the actual winding path life takes toward those goals. In surrendering your attachment to a certain outcome. It enables you to be more present for people. To drop any agenda. To respond constructively when bad things happen. What do you think it would take for you to surrender to life in just one small way today? The Surrender Experiment (New York: Harmony Books, 2015).